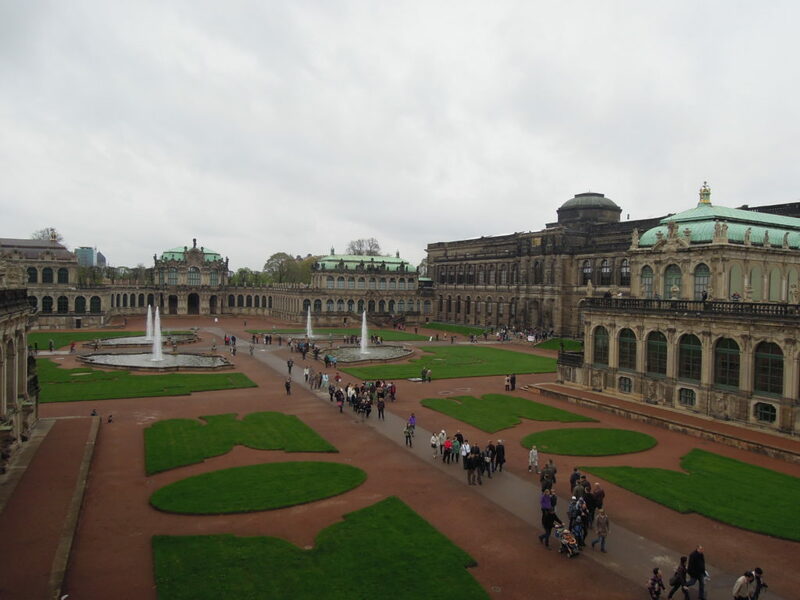 A trip to Dresden left a surprisingly huge impression on me a couple of years ago, when I was there for the first time. At first it seems full of old buildings in one place, and then you find out that is one of the best world replicas. 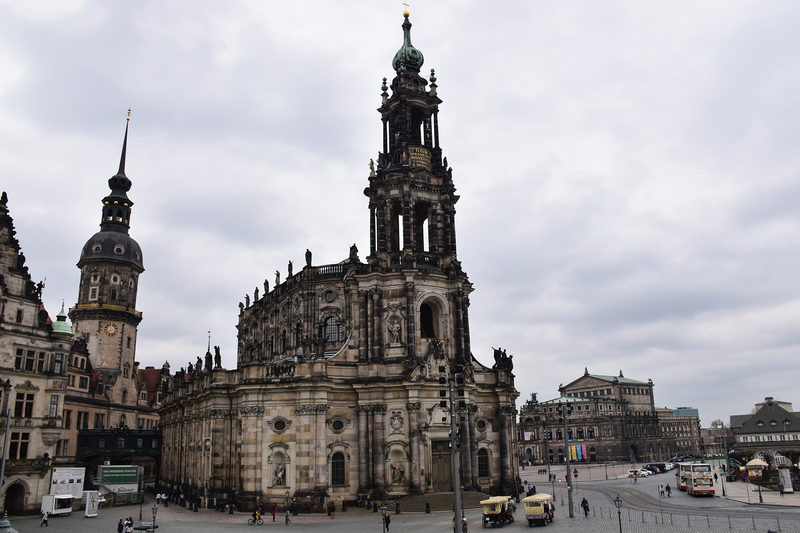 In any case, Dresden is a kind of the city you must visit in your lifetime. 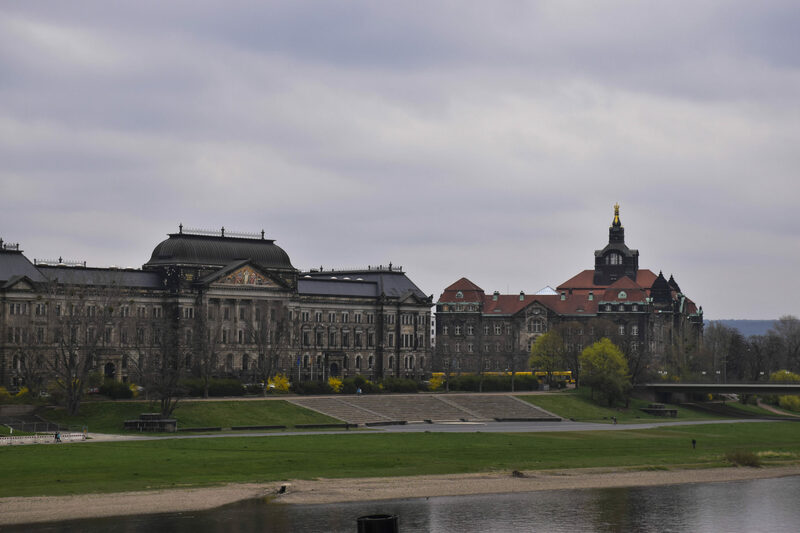 The city is located on the river Elbe, near the Czech border. There is a lot of history and controversial action during the war in it. It used to be known for its porcelain production, and then it became a ruin, owing to British and American bombs. Up to today, the circumstances under which it was bombed aren’t clarified. 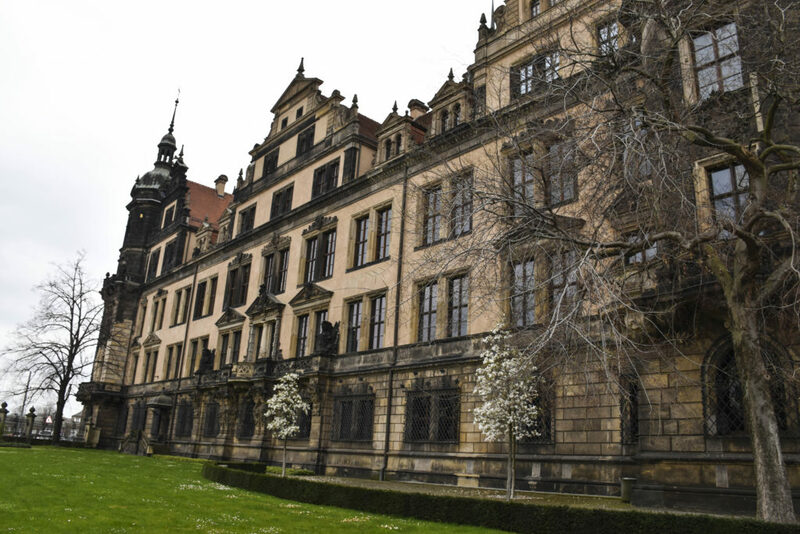 Dresden, a victim or not? It was only after the consolidation of Germany in 1990, that is shined again in its new glory. 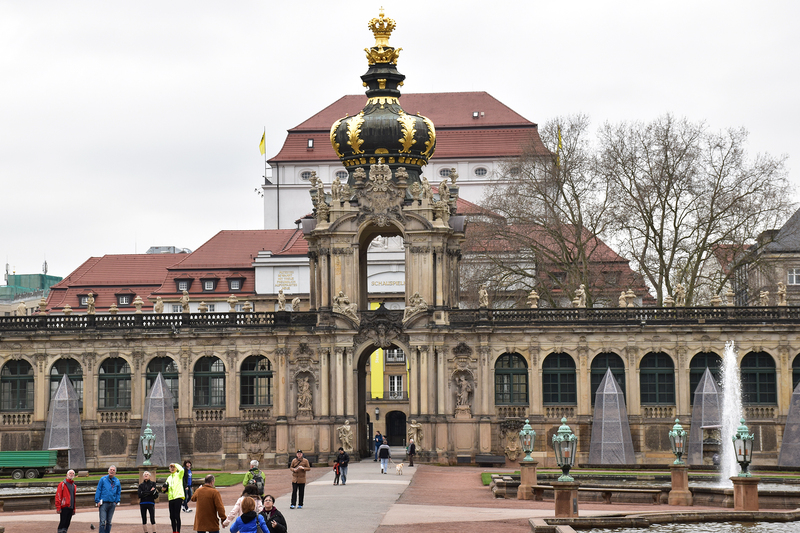 Both times I visited Dresden in April and May. July and August are troublesome months, because it is very humid and an obligatory accessory is an umbrella. A couple of hours for a tour around it is completely fine. 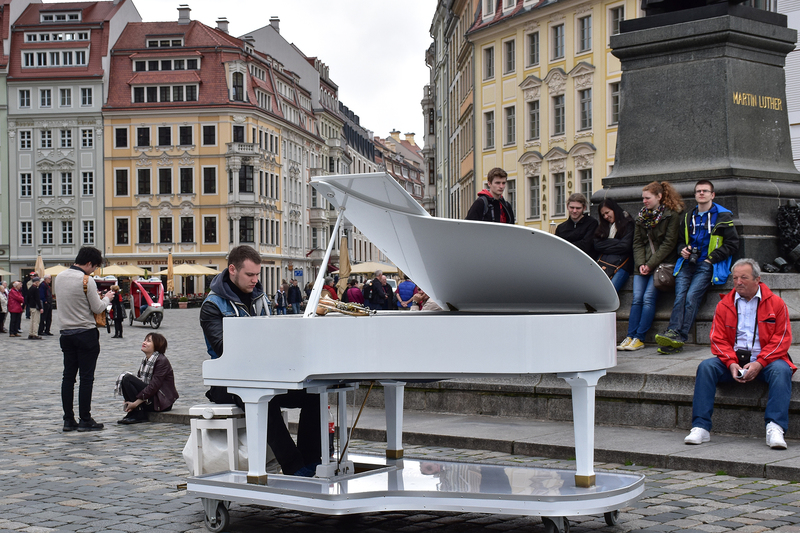 Meaning, this city can be one of the stops on your trip. 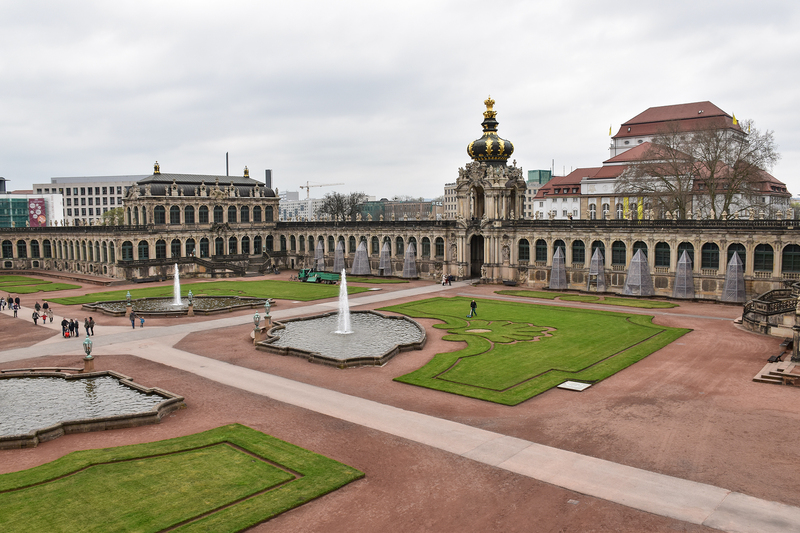 The first thing you find out about Dresden is that Vladimir Putin, as an agent of Committee for State Security was stationed in Dresden. Just because of that, Russia had an important role in the historical development of this city. The old part of the town was reconstructed after the WWII. It looked so full of history and strong stories. Every mark on the stone used for its building, looked to me like a scar of the times it has undergone. 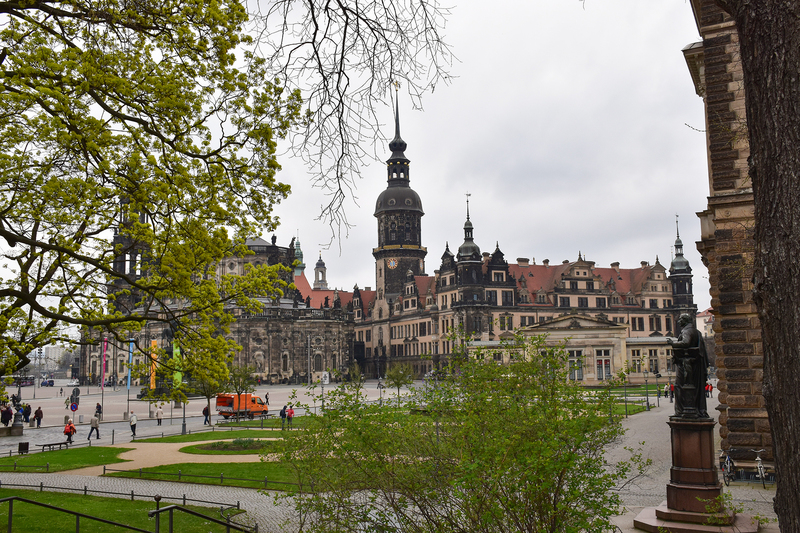 What I noticed immediately was that Dresden was rich in forests and parks. 60% of its territory is covered in it, which points to the fact it is the most afforested town in the planet. 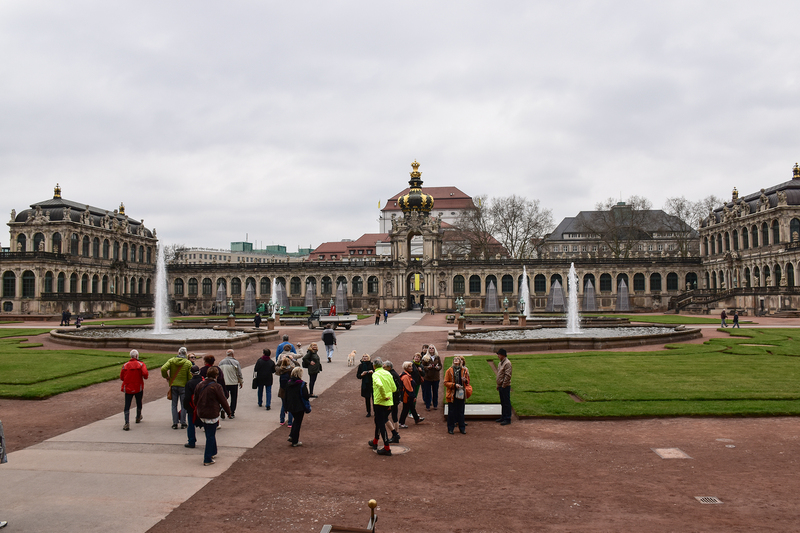 Zwinger Park, when I entered it, my eyes started moving in all directions. I didn’t know whether I should take the left or the right turn, which door I should enter, and through which to exit. 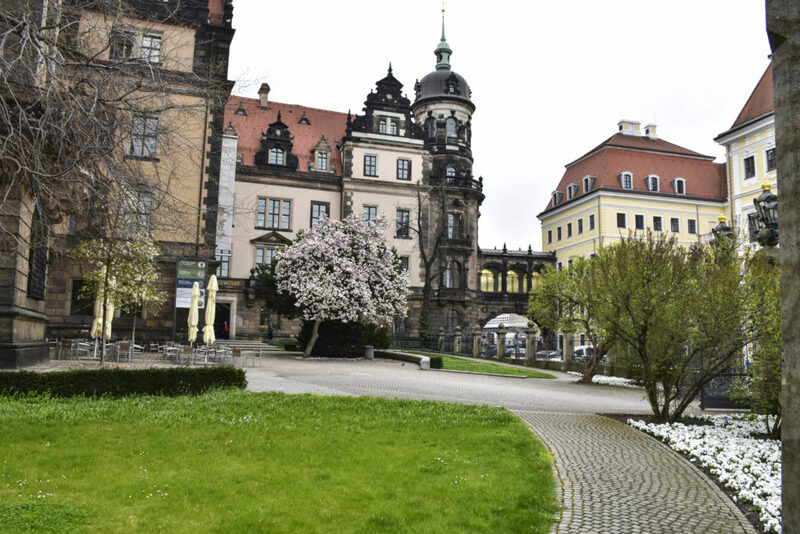 It’s a museum complex today, a painting gallery, exhibition of porcelain collection and one part is reserved for the Royal Cabinet of instruments used in mathematics and physics. 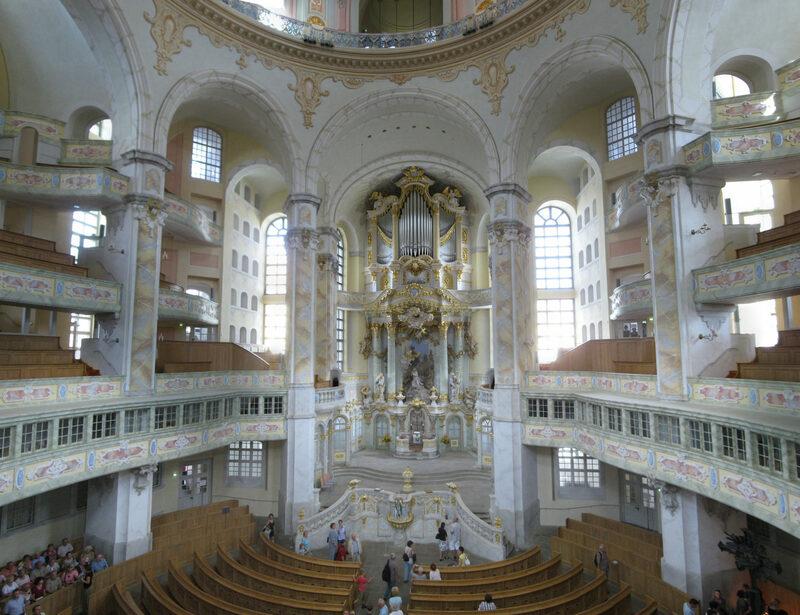 Frauenkirche – literary translates as ‘Our Madonna, or Virgin mother’s church’, 1945. 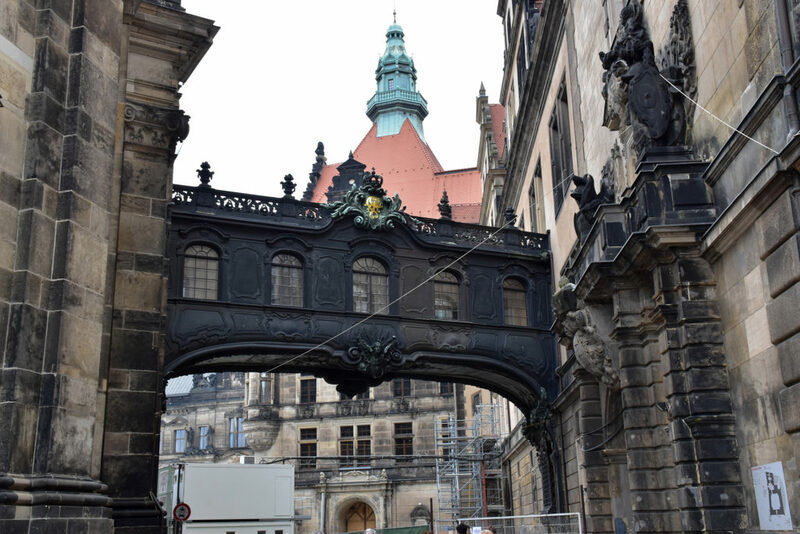 It was destroyed by allied troops, and the reconstruction started in 1993. Some parts of it weren’t finished until 2004. It’s open for tourists. 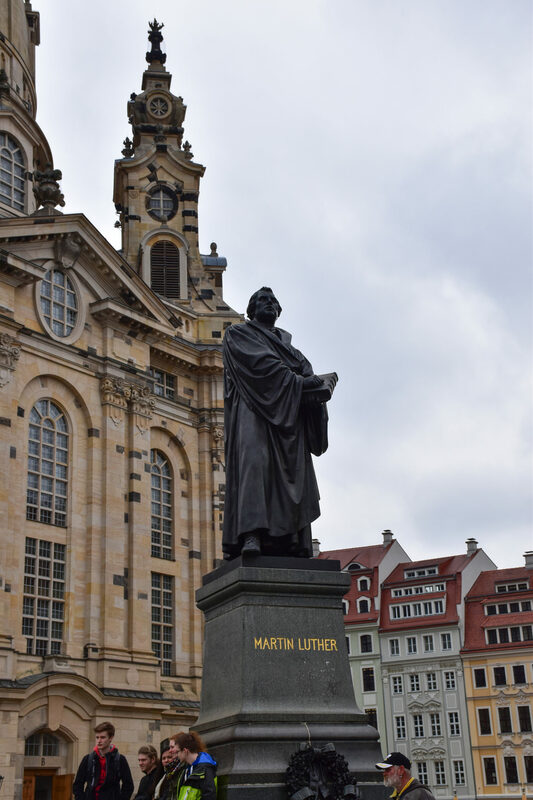 There’s a statue of Martin Luther in front of the church- the founder of the Christian Protestant church in Germany. What I memorized and what seemed interesting is that he was theology professor, a conductor, father, and a monk. In his lifetime, he was followed by great rivalry with the pope and various arguments. He didn’t like the pope of that time because of his immoral lifestyle and called him an antichrist. Another one of Martin’s smart moves was that he got married (and he married a former nun) which tells enough about his opinion on celibacy. 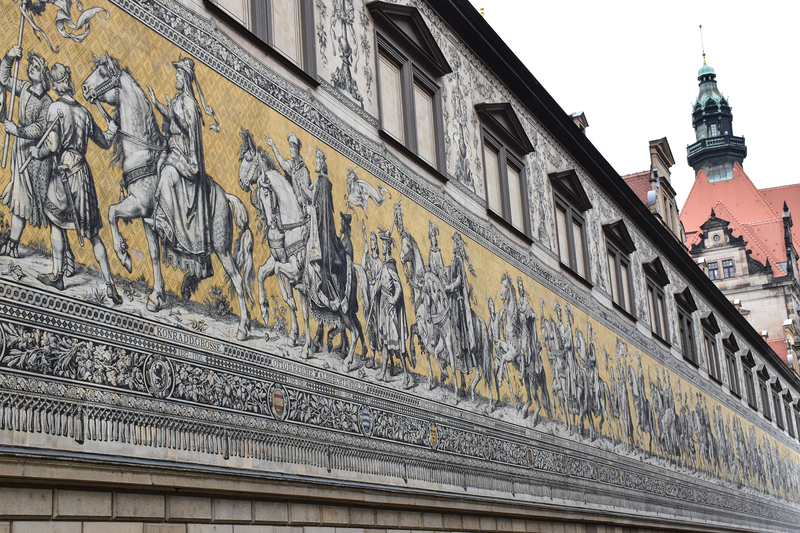 Wall mural of Procession of Princes, Fürstenzug, was painted between 1871 and 1876 in the honor of Wettin dynasty, or the ruling family (everyone from the first to the last ruler through time was shown). In order for murals to remain on the wall, around the year of 1904, it was restored in Meissen porcelain. 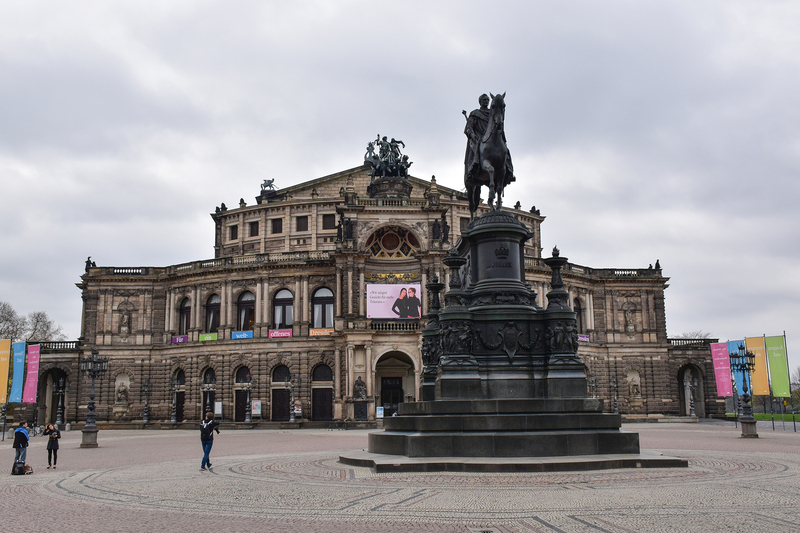 Dresden opera from 1841 Semperoper. 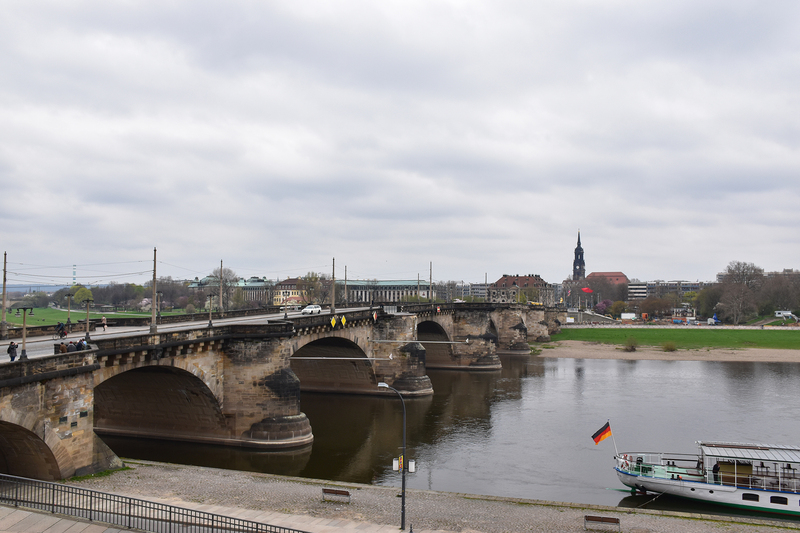 Augustus bridge, the oldest bridge in Dresden. It was built between 1907 and 1910. Pay attention to the color of the rock… the entire city is covered in similar grey shade. 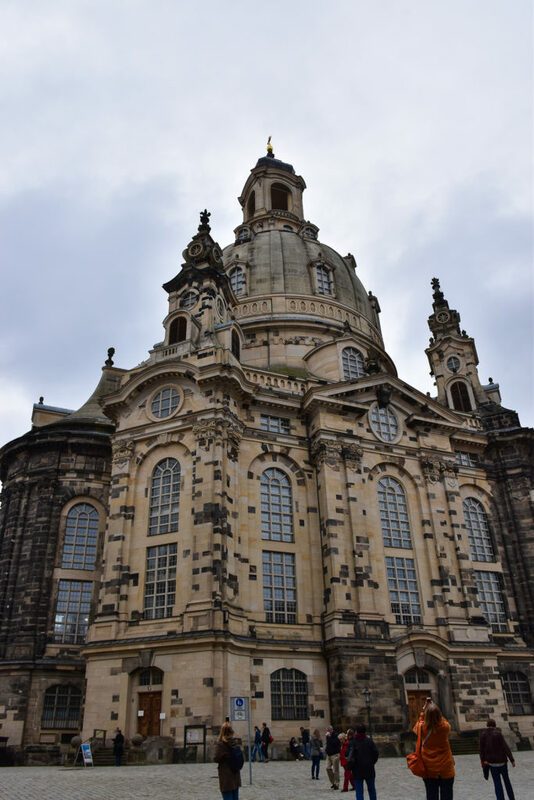 Dresden castle– or Royal Palace. Today, it’s museum complex. Everything is there for the tourists and there are a lot of them. 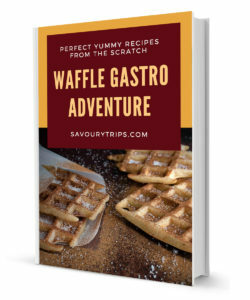 Consequently, there are several options for a tour around the town. 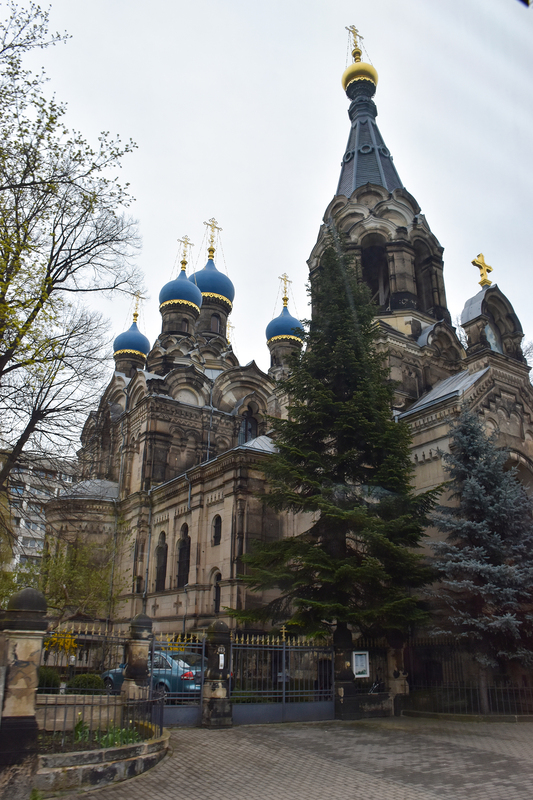 We took a tour on foot, which I recommend to you as well, since the old part of the town is not so big. 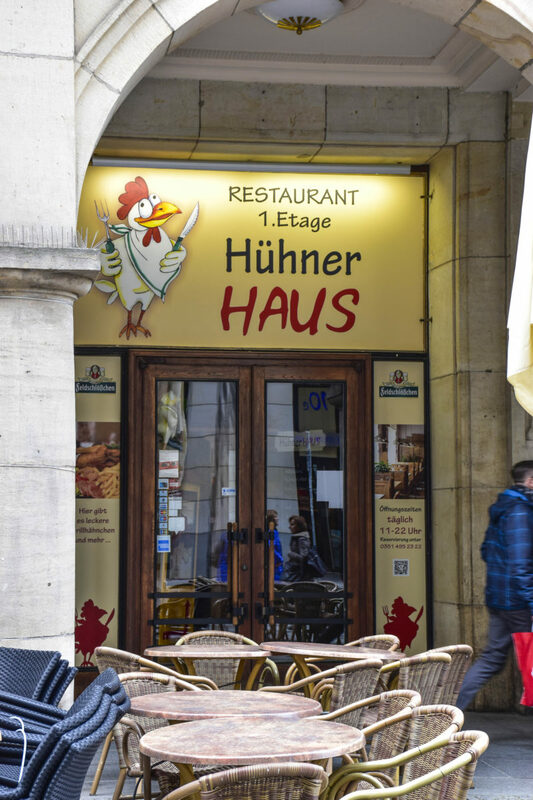 Also, there are a lot of cafés and restaurants where you can take a break. Where to take a lunch break? After a heavy meal you should go for some more walk, there is Lindt chocolate shop just before the restaurant, and a decent shopping place after the restaurant (German fashion brands). I am indeed a wondering traveler for shopping too, but a weir kind of one. 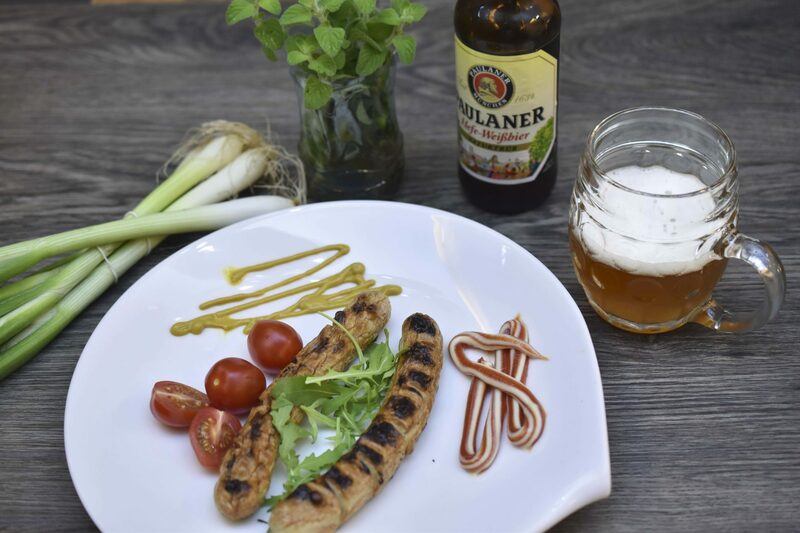 I carried the spirit of Germany and Dresden to Belgrade, because shopping for me was buying sausages and beer to take. Upon our arrival back to Belgrade, it was raining. 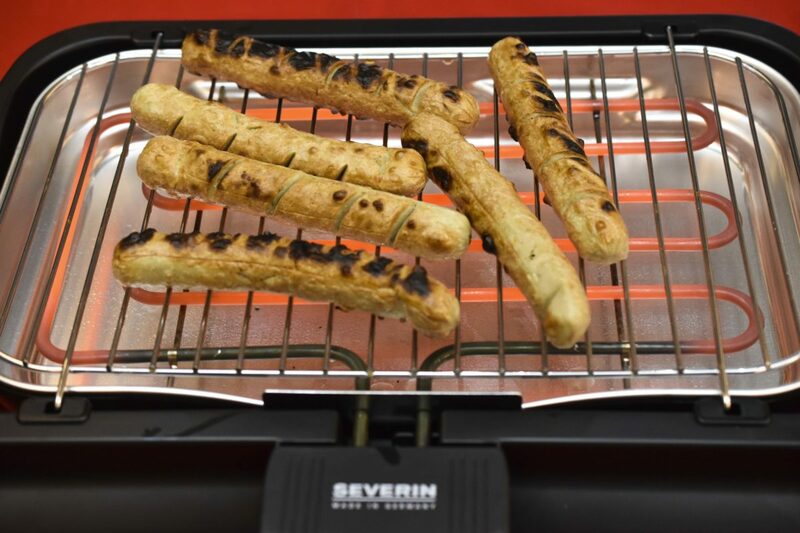 I smelled the Dresden streets along with my friend Severinko (table grill) for a couple of days more, and I enjoyed in German sausages known as hotdog. 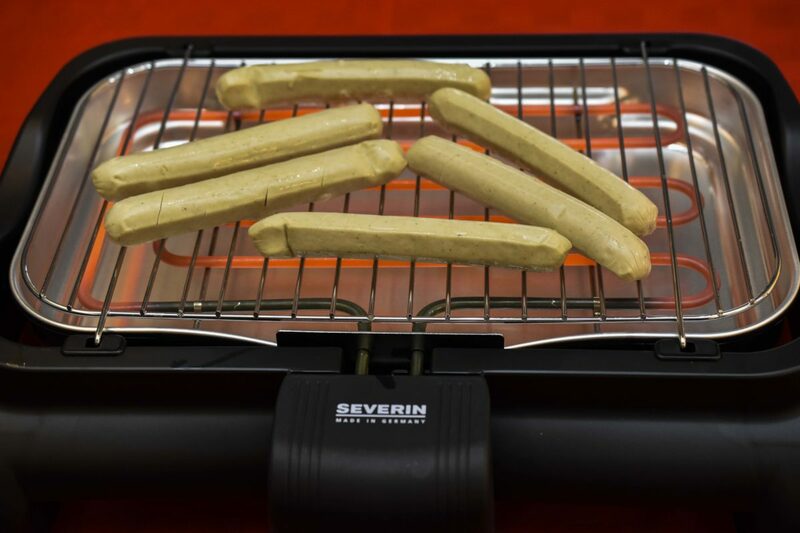 Severinko turned out to be a great option for rainy days, it didn’t take me much time for grilling nor for washing. 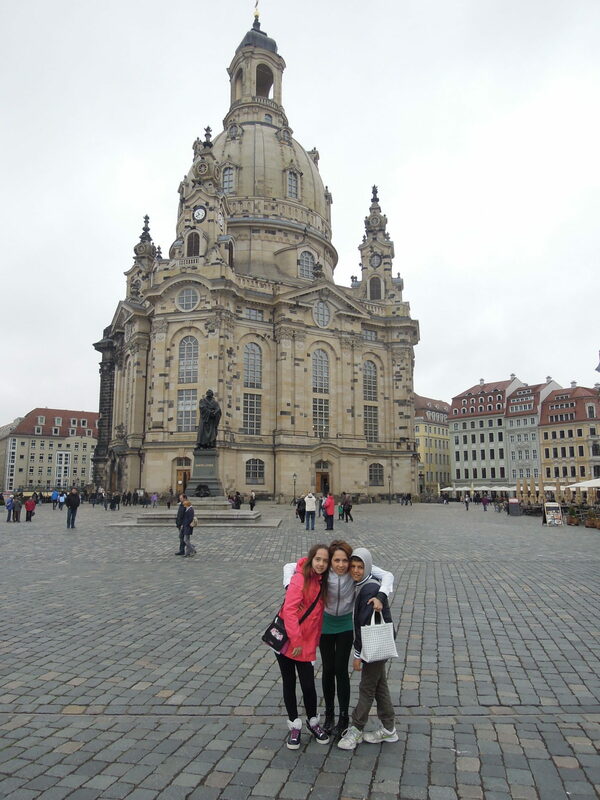 2 Responses to A trip to Dresden, the city of replicas, or not? 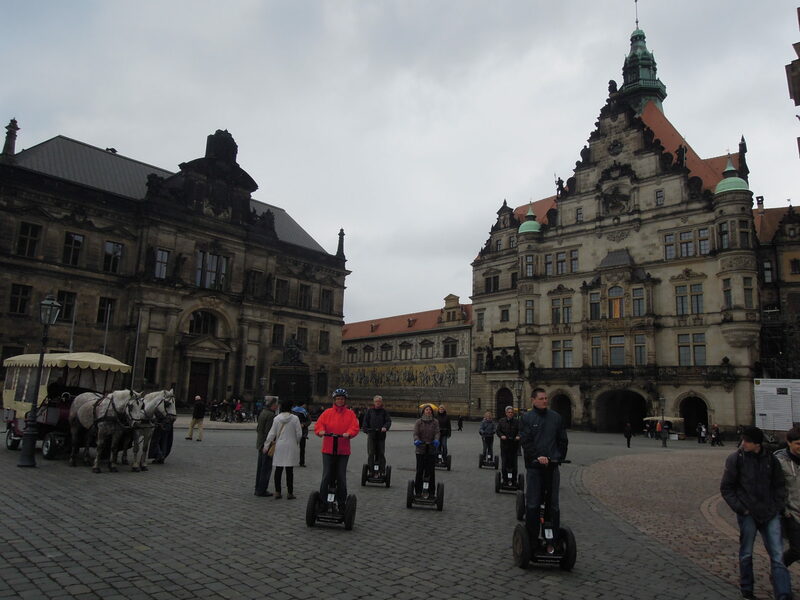 I live in Germany, but have not yet made it to Dresden! 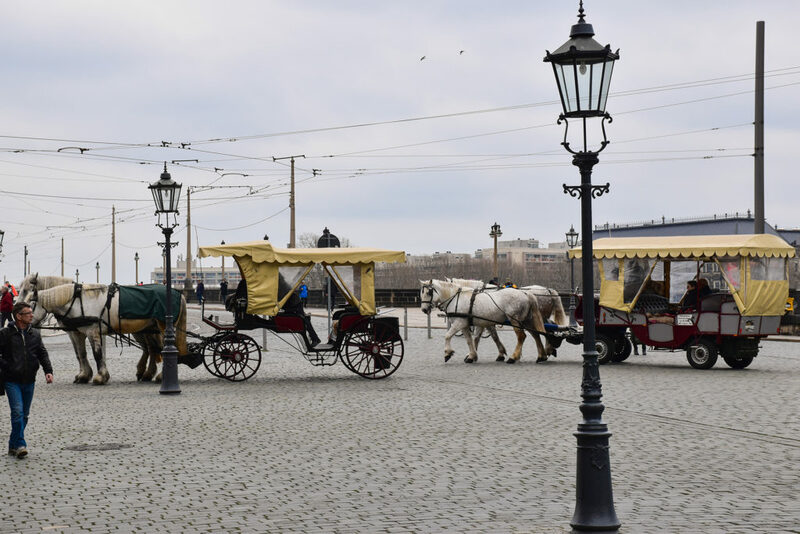 Your photos are simply beautiful and encourage me to plan a trip there to see some amazing architecture and history. 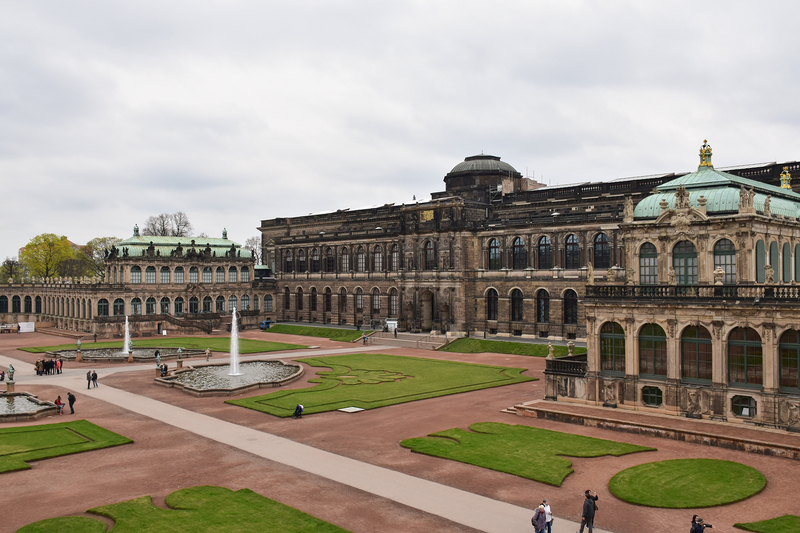 My current home of Munich does not have buildings as grand as this!